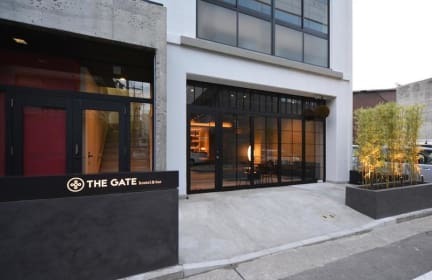 The Gate Hostel has rooms in Fukuoka near Inter Media Station IMS Building and Tocho-ji Temple. 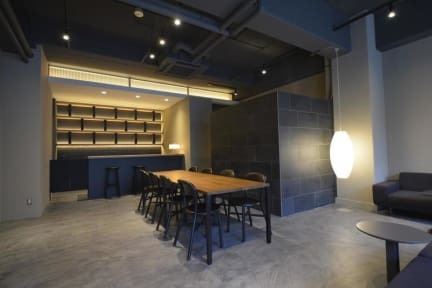 Attractively set in the Hakata Ward district, this hostel is located 1.1 km from Port of Hakata. The property is 1.8 km from the city centre. Guest rooms in the hostel are equipped with a electric tea pot. Each room is equipped with a shared bathroom, while some rooms also feature a kitchen with a microwave. The rooms will provide guests with a fridge. The Gate Hostel has a terrace. Nagahama Ramen Street Fukuoka is 1.1 km from the accommodation, while Kego Shrine is 1.3 km from the property. Fukuoka Airport is 4 km away.